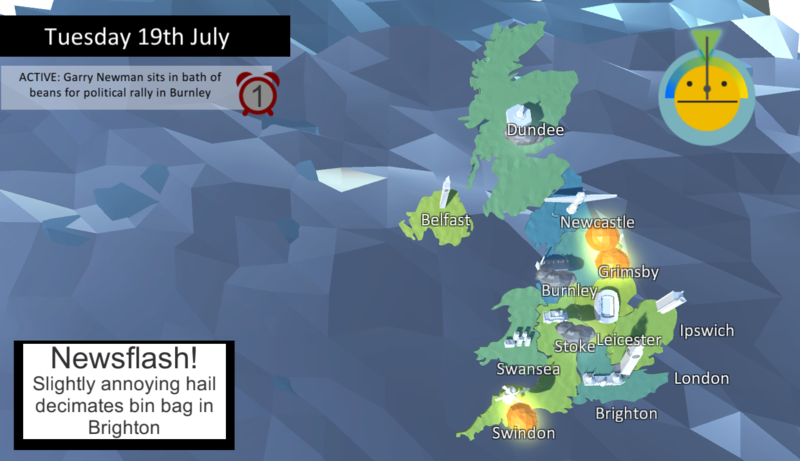 'And Now, The Weather' is a game about British weather, British apathy, and the British penchant for overreaction in the face of minor inconvenience. Created for the Develop 2016 Game Jam by Oli Carson (@OhCarson) Jim Scull (@JimScull) Bianca Iancu (@voraptor) and Jack Gill (@Jack_Gill_SGS) 'And Now, The Weather' combines god-like weather control powers with pithy, self-indulgent, randomly generated newsflashes to create something not quite like any game before. Any good game that is. The game was built in Unity over the space of about 24 hours, with its creators working tirelessly, at times in the lobby of their hostel, and at times inside a locked room they weren't supposed to be in, in a hotel that can't be named. 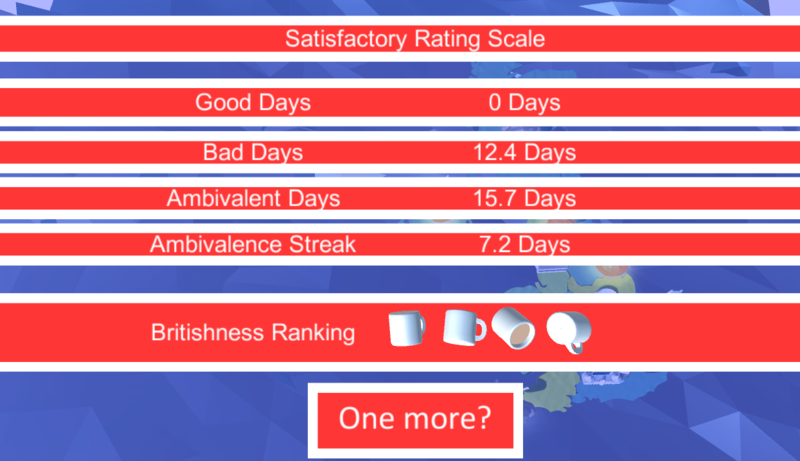 The aim of the game is to spread apathy throughout the UK, by clicking and dragging your three suns and three rainclouds to move them from region to region. If a region is becoming too sad (blue) then sending a sun to it will help to cheer it up. If a region is becoming too happy (yellow) then sending a bit of good old fashioned British drizzle should soon dampen those spirits. 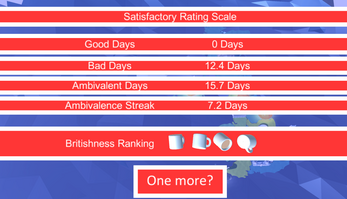 As the god of British weather, fight to preserve a sense of disinterest and half-hearted disgruntlement in the scepter'd isle that started it all!